A few weeks ago during our visit to Silver City we strolled through an exhibit on New Mexico ghost towns at the local museum. 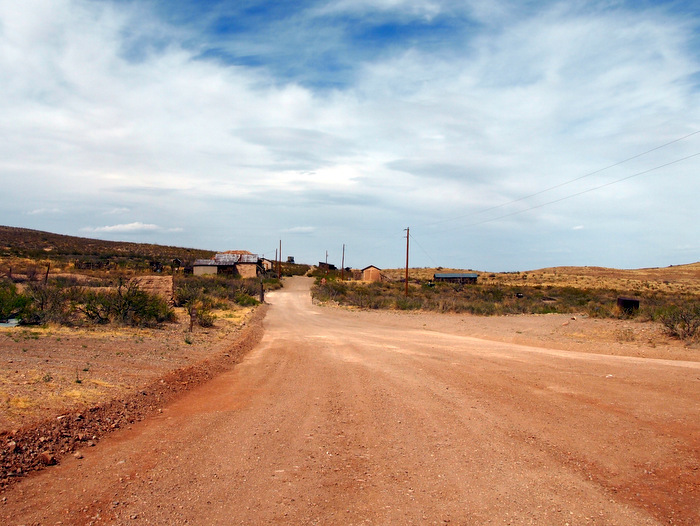 I was fascinated to learn just how many ghost towns there are in New Mexico. The exhibit was a collection of photographs by the photographer Karl Kernberger. 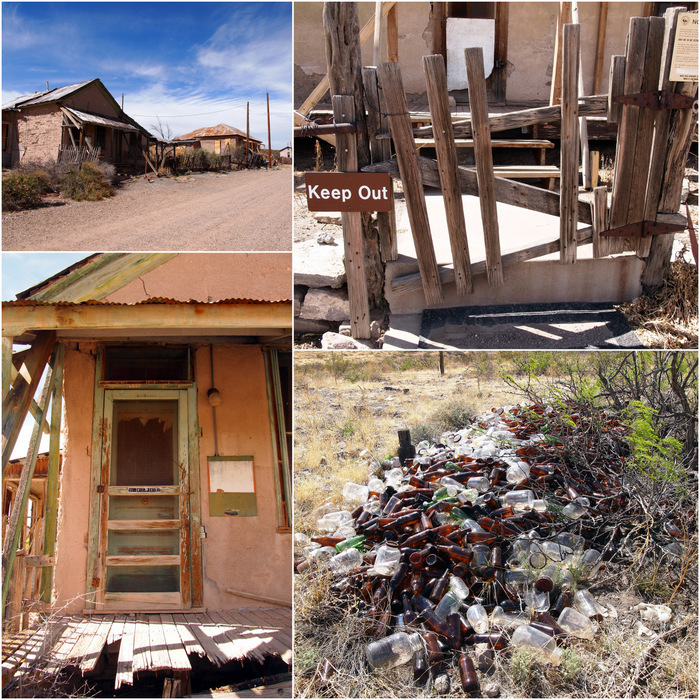 They images were haunting and beautiful and right then and there I decided we could not leave New Mexico without visiting at least one or two ghost towns. So this weekend we checked off ghost town number one, Lake Valley. 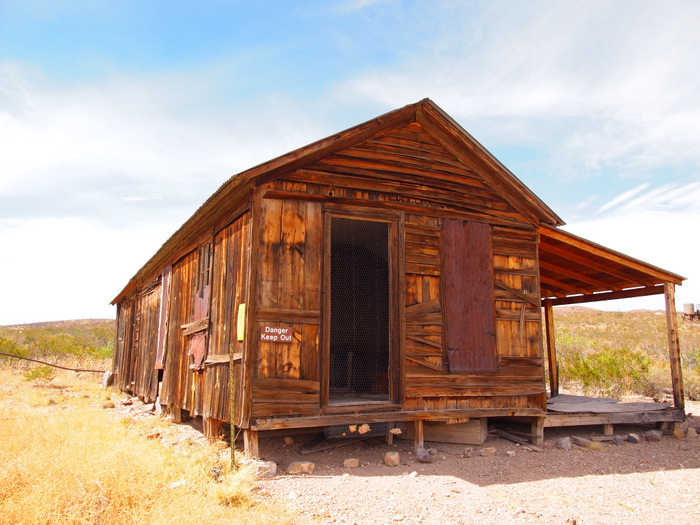 Lake Valley is a former silver mining town that experienced a boom in the early 1880s followed by a bust not long after in 1893 due to the devaluation of silver. A couple years later most of main street burned down, and at that point the town seemed doomed to ghost town status. There were a few brief periods of revival during the 1920s and again during WW II when the area was mined for manganese ore. A few hardy soles stuck it out and lasted until the early 90s, but these days it is truly a ghost town with only a single caretaker in residence. 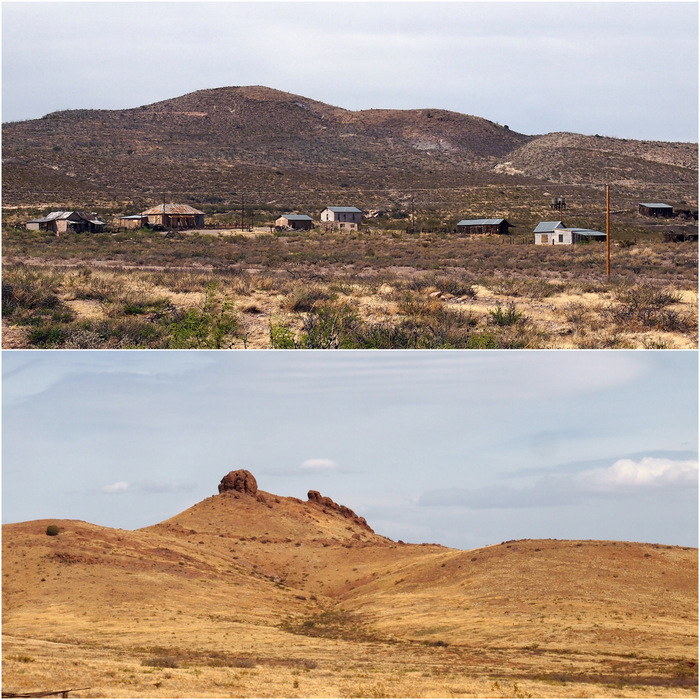 The town is now managed by the BLM who have taken measures to preserve the historical significance of the town. Right now you can’t go in any of the buildings. I assume this is due to safety issues, as most look like they are on the verge of collapse. I read that they hope to eventually restore all of the town to the point where visitors can stroll through the buildings, but until then we had to be content looking from the outside and peaking in a few windows. 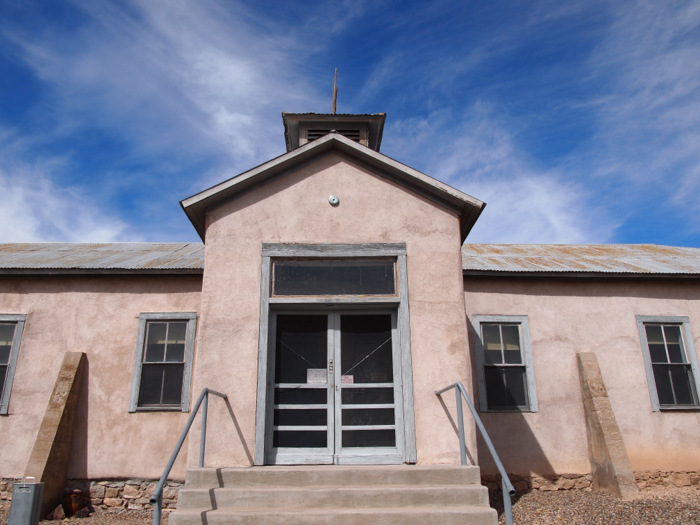 The one building we were allowed inside was the adobe school house which is now a small museum. 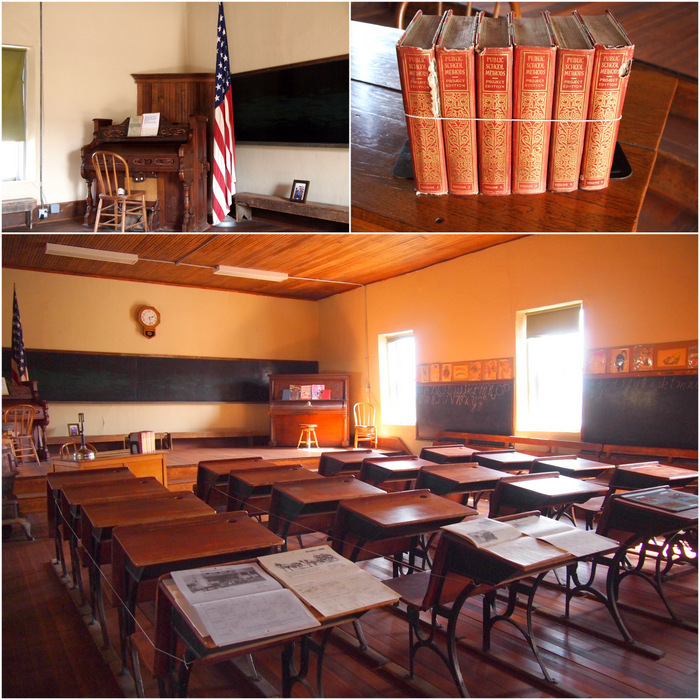 Inside one half holds a few museum exhibits, and the other half a nicely preserved school room. We spent an hour or so wandering around the town and then made a brief visit to the museum where the caretaker was getting ready to close up for the day. 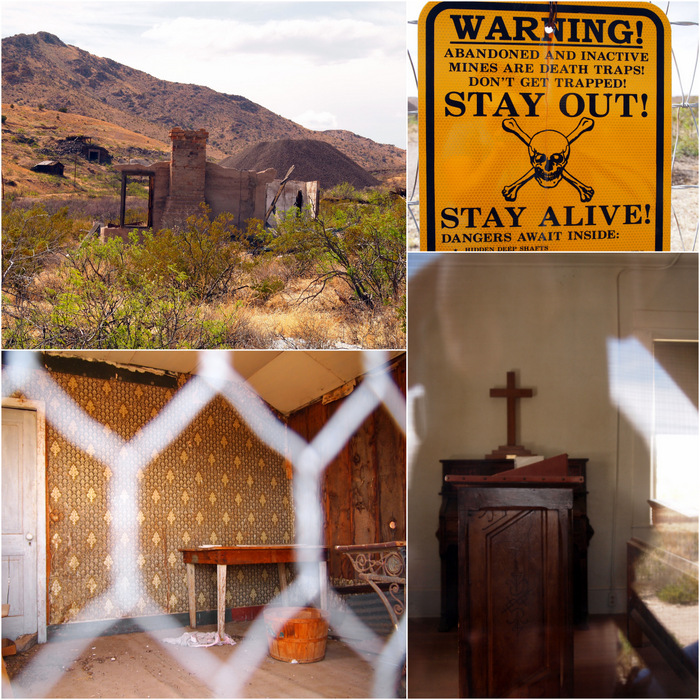 It was a really cool experience and has gotten us excited for a few more ghost towns. As we drove back to the main road we had a nice view of the town site along with Lizard Mountain. Can you see the lizard? From Lake Valley we headed to Hatch in search of some of those famous chili peppers. Sadly for us, this is not the time of year for fresh chilies (they are harvested in July & August). Doubly sad was the fact that we arrived too late in the day to visit any of the stores that sell chopped and frozen Hatch chilies all year long. It wasn’t a total loss though because we did get a huge bag of chili powder, some yummy desert wildflower honey, and a bag of jalapeño peppers from a nice man who even posed for a photo with his peppers. 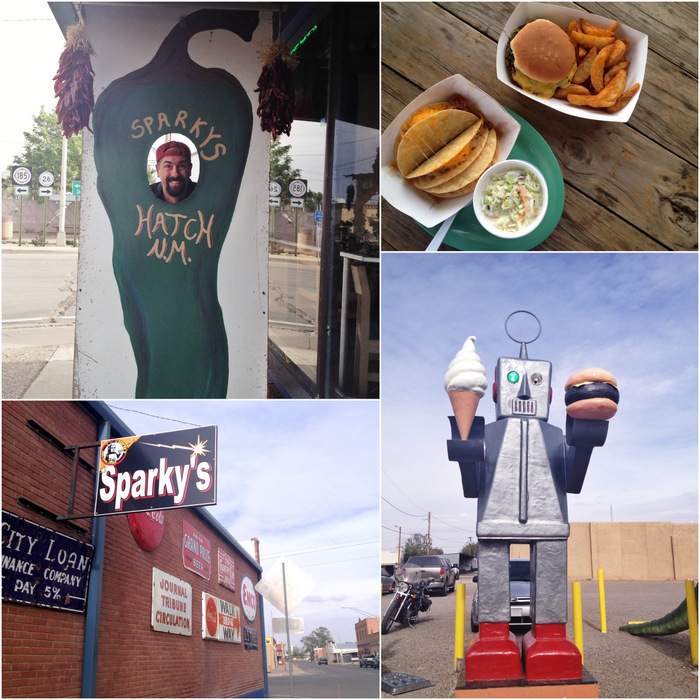 While we didn’t buy our own chilies, we did get to eat some at the quirky and delicious BBQ joint called Sparkys. Their sign claims world famous burgers, BBQ, shakes. So we tried them all. We got a world famous green chili cheeseburger, a trio of tacos stuffed with smoked BBQ pork mixed with chilies, and ended with strawberry milkshakes. Tim went wild and ordered the sassy strawberry which is basically strawberry shake mixed with lots of chili powder. I took one tiny sip and declared it disgusting. He drank about a quarter before agreeing with me. Lucky for him I generously shared the second half of my plain Jane strawberry shake. The rest of our meal was absolutely delicious. The BBQ pork was everything you want BBQ pork to be, and if you’ve never had a green chili cheeseburger you are seriously missing out! Our sides were equally as good. A sweet & tangy fresh pineapple slaw and crispy seasoned potato wedges rounded out the meal. It’s a good thing we’ve already moved to another campground more than an hour north, because otherwise a return visit would be very tempting. In addition to tasty eats, Sparkys also has an interesting exterior filled with fun memorabilia. We ate outside and spent nearly two hours just enjoying the atmosphere. 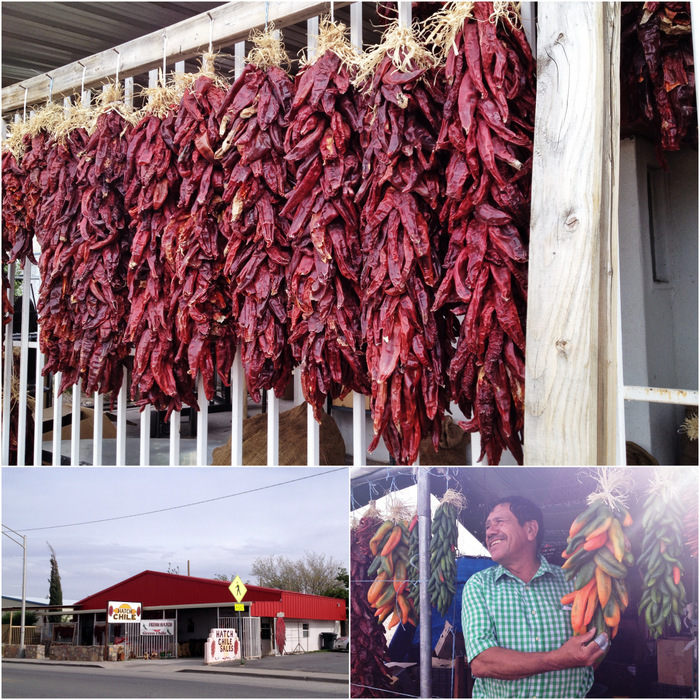 On the way home from Hatch we drove through a portion of the Mesilla Valley where all those famous chilies are grown. 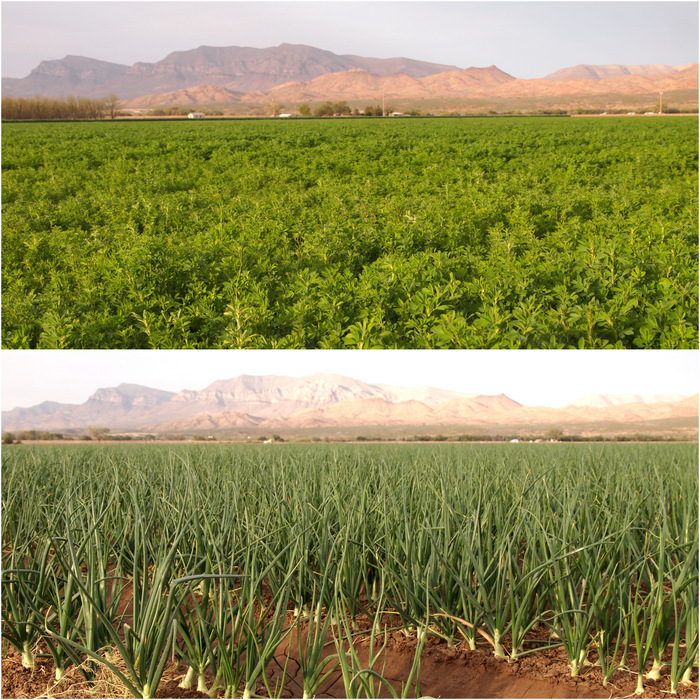 It’s a bit too early for chili plants, but we did see lots of fields planted with something green. Seeing large swaths of bright green in the middle of the normally subdued colored desert is pretty exciting, so we pulled over for a closer look. One field had some sort of clover and another was full of onions. I would love to see what it looks like right before the chili harvest when this entire area is full of ripe chilies. And that concludes our day of green chilies and a ghost town. I don’t think we’ve seen the last of either of these iconic New Mexican attractions. 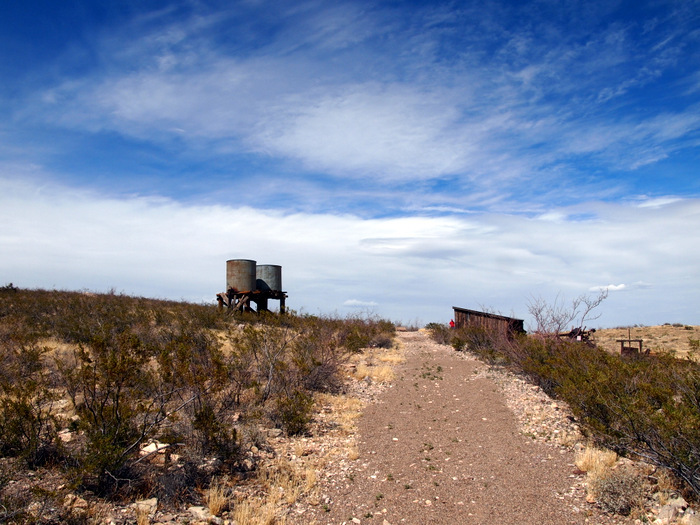 In fact, we already have plans to visit the ghost town of Chloride next weekend, and it seems very likely that more green chili cheeseburgers are in our future. Yummy chili cheeseburgers! And a strawberry shake…plain jane for me too! I love meandering thru the old mining towns. A plain strawberry shake is my favorite! Love green chilli cheese burgers..had them in Wickenburg at Screamers ..
We love them now too! I am beginning to think that there are a lot of world famous green chili burger joints in New Mexico. 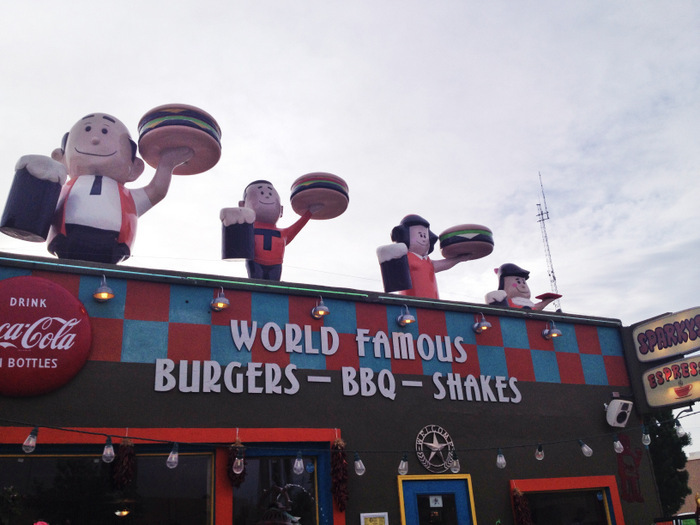 I went to one in San Antonio (NM), a very small town that has two restaurants claiming to have world famous burgers. Y’all went to Sparky’s and who knows how many more there are. We are camped on FR 525..loving the view..thank you sooo much! This is only our second place to boondock..dont count Walmart. Hubby gets a little frantic not knowing exactly where we are going so I drive and walla! It happened. Yay! So happy you made it there. Enjoy the amazing view! 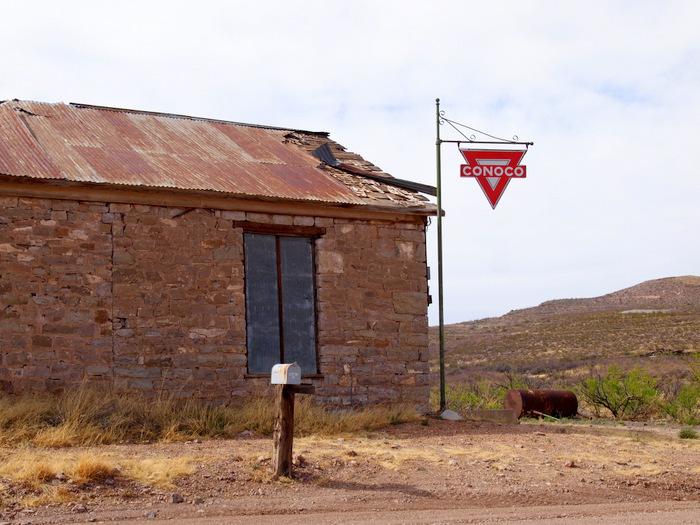 Love this post – we love New Mexico, but haven’t made it to the ghost towns, my favorite was the schoolhouse. 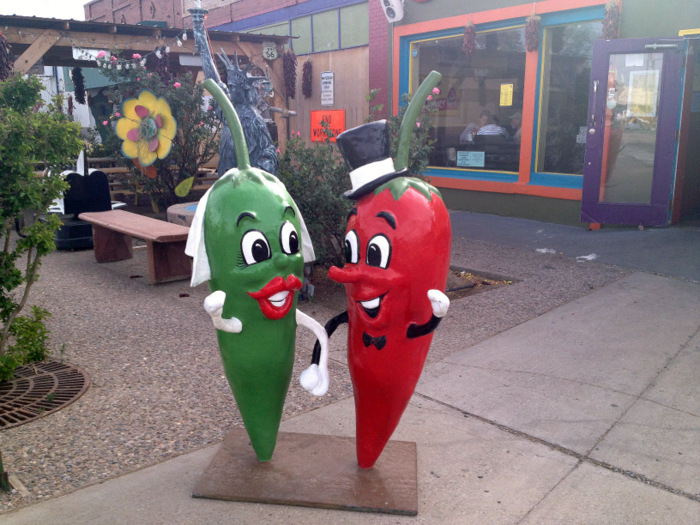 Another favorite is your chili pepper photo and obviously we must make it to Sparky’s next time (we’re going to Albuquerque for the balloon fiesta).